Soft tissue injuries commonly occur from whiplash, sprains, strains, contusions, tendonitis, overuse, or stress. These injuries occur often in athletes, but can happen to anyone. Soft tissue injuries can be avoided by being cautious with movements, by stretching, resting, and by paying attention to form or posture. When you are involved in an accident, even a minor one, you expect the liable insurance company to pay for all your medical needs. But, that's not always the case. Insurance companies routinely limit their payouts for soft tissue injuries, especially those that are the result of a minor accident that resulted in little to no property damage. It is not uncommon for individuals who have been involved in a motor vehicle accident or other accident to suffer some form of soft tissue injury. In fact, soft tissue injuries are by far the most common injuries suffered in motor vehicle accidents. These injuries can cause the body great pain and disability. Insurance adjusters, however, try to downplay the seriousness of soft tissue injuries. But, such injuries can be debilitating and permanent. It is, therefore, remarkable to many that the insurance industry has been allowed to get away with downplaying soft tissue injuries for so long since the very premise is false and based on myths promulgated by the industry itself. However, a common practice in the insurance industry is to classify an injury as 'only' a soft tissue injury (meaning not serious) and to limit or deny payout for what are called Minimum Impact Soft Tissue (MIST) claimsâ€“â€“claims for injuries sustained in accidents that resulted in little to no property damage and soft tissue injuries only. Scientifically speaking, there is no such thing as a certain amount of damage a vehicle must sustain before there can be serious injuries to the occupants of that vehicle. If your insurance company does not believe the doctors who say that you are seriously injured simply because there is little to no damage to your vehicle, it is engaging in naked speculation. Insurance companies are not allowed to speculate and give unqualified medical opinions in order to deny or minimize claims. If they do so, they are guilty of violating the law, which can have serious legal consequences for the insurance company. Soft tissue injuries are often serious and permanent. Herniated discs and concussions are just two examples of soft tissue injuries that may be suffered in a minimal impact motor vehicle accident. There is no cure for a potentially debilitating herniated disc and the science is clear on the fact that a concussion is nothing less than a brain injury that can have long-lasting effects. Soft tissue injuries can be very painful and damaging to the body. Minor injuries might cause swelling, redness and pain; while major injuries can prevent walking or moving all together. If a soft tissue injury is caused by another's negligence or an accident, it is important to seek the counsel of an experienced attorney. Statutes of limitation can prevent claims from being opened after a certain length of time and recovering damages might prove to be more complicated that it seems. Insurance companies are in business to make profits. The largest insurance companies earn billions of dollars in profits every year and their claims adjusters are paid huge annual bonuses for minimizing what they pay out for claims and maximizing how much money the company saves. Insurance claims adjusters are highly trained professionals. Their job is to do what's best for the insurance company they work forâ€“â€“not what's best for you. In addition, claims adjusters receive hundreds of hours of training on how to handle the claims process and they are taught how to win your trust and then minimize the amount of money they pay you for your claim. The full extent of your damages has been calculated. In many cases, they will attempt to get you to accept an early settlement and sign a release for mere pennies on the dollar compared to what your claim is actually worth. In fact, there are scores of injury victims who accepted settlements without ever talking to a lawyer and who now find themselves having spent all of their settlement funds and unable to afford the expensive ongoing care and treatment needed to treat their continuing medical problems. In many cases, these injury victims signed what they thought was a fair settlement, only to find out later that their injuries were worth hundreds of thousands and even millions of dollars more. But, because of the low settlement they accepted, these victims must now live out their lives with debilitating injuries and no funds to pay for medical treatment. When an injury victim settles their case incorrectly and then later finds out that they need more medical treatment or surgery, there is usually nothing that a lawyer for them. This is because once you agree to a settlement and sign a written release, you waive your right to seek additional compensation for your medical needs, forever. For this reason, trying to handle your own personal injury case without the assistance of an experienced lawyer is like throwing a lamb into a den of hungry lionsâ€“â€“the outcome is not only predictable but extremely painful for the lamb, which in this scenario, could be you. An experienced personal injury lawyer can help you protect your right to be fully compensated for your past and future medical expenses and advise you of your options so that you can make smarter long-term decisions regarding the settlement of your injury claim. A good personal injury lawyer will also make sure that you fully understand the extent of your injuries and what kind of treatment or surgery you will need to get better, both now or in the future. Having a knowledgeable and experienced lawyer by your side will level the playing field when negotiating with the insurance adjuster. A good personal injury lawyer may be able to point out things about your case that you have not considered and which can result in your claim receiving a much higher settlement. Again, you can settle your own injury claim without a lawyer, but you would be well advised not to talk to any representative or investigator from any insurance company until you have at least consulted with an experienced personal injury lawyer about your claim. In addition, you should not provide any oral or written statements to anyone regarding your injuries or the accident in which you were injured unless you have been advised to do so by your lawyer. Furthermore, never sign any document unless and until you are under the guidance of an experienced personal injury lawyer who can help ensure that you are making the right decision. A bodily injury lawyer with knowledge of soft tissue injuries can help you get proper compensation in the case of an auto accident or act of negligence. You may be entitled to damage recovery and an attorney can help you determine what you are owed. 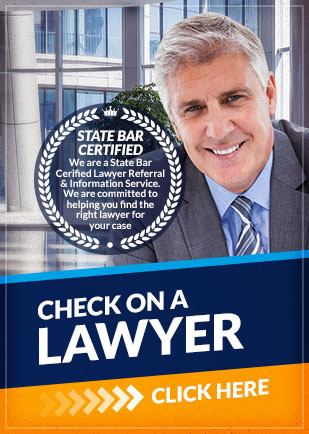 Legal help can attain the treatment and settlements you deserve. One of the best ways to ensure that you receive full compensation for the medical treatment needed to properly address your injuries is to work with a personal injury lawyer who is experienced in negotiating with insurance companies, knows how to effectively handle MIST cases, and who can ensure that you are treated fairly. If you have any further questions about settling a personal injury claim and making sure that all your medical needs are covered, consult with a qualified and experienced personal injury lawyer today. If you need a personal injury lawyer for your soft tissue injury, let Attorney Search Network help you find an experienced personal injury lawyer today. Contact Attorney Search Network and start getting help for your soft tissue injury today.